In the first part, we spoke with owner/chef Mr. Yoshio Kato and his wife Shinobu about the menu and how it was developed. This second part is about their commitment to the use of quality ingredients and wine. 2 For delicious meals, and delicious alcoholic beverages too. 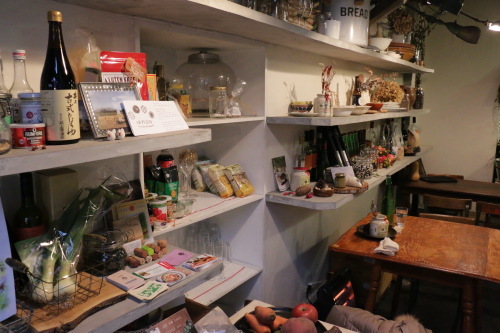 Organic vegetables are used as much as possible at “L’atelier de maison de campagne + veganique.” Foodstuffs other than vegetables are also procured directly from a small collection of trustworthy suppliers that the owner, Mr. Kato, has carefully selected. 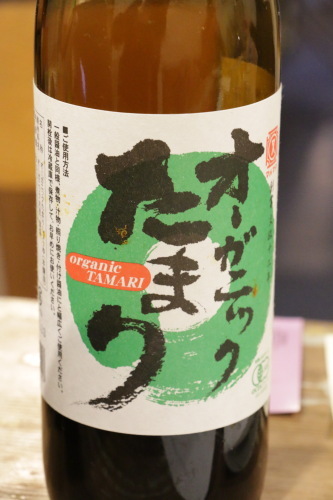 With regards to vegetables, their top notch edibles are purchased almost exclusively from “Farm Harenohi” in Nagano Prefecture and “Bio Agri” on Awaji Island, with the former used more in summer and the latter being stronger in winter months. Information on the vegetables used and the suppliers they come from can be freely obtained by reading through the pamphlets and other written materials set up in a corner of the store. As things are today, it is often difficult to find out where restaurant ingredients have been sourced, thus making eating out a tricky situation for many conscientious diners. That’s why shops like Veganique are so valuable with their high degree of transparency. It’s a highly reassuring gesture. Mr. Kato’s food purchase philosophy is to “take good things from the earth little by little, and only as they fit the restaurant concept and needs.” It is his strict adherence to this policy that allows you to eat fresh and tasty vegetables every time you visit. Gluten-free eaters are happily accommodated with a special menu (reservations required), down to attentively providing gluten-free soy sauce. Speaking of soy sauce, “vegetables, with a healthy dose of mushrooms, and kelp are combined to make our soup base, and when it comes to seasoning, we have found that soy sauce alone stands tall as a solid taste pillar,” says Mr. Kato. As a general rule, soy sauce contains wheat by-products. Mr. Kato struggled to find soy sauce made of 100% soybeans for his gluten-free customers, but in the end found success. Such detailed attention is par for the course with Mr. Kato and his restaurant. Mr. Kato tells us that he learned much from inquiries received at a vegan restaurant in Karuizawa where he used to work — and is still connected to now. It could quite accurately be said that “L’atelier de maison de campagne + veganique” is the culmination of Mr. Kato’s years of experience thus far. For delicious meals, and delicious alcoholic beverages too. You can also enjoy delicious alcoholic beverages at “L’atelier de maison de campagne + veganique.” All wines here are organic wines. 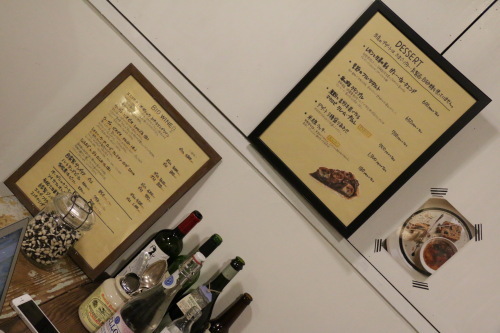 Just as is the case with the food, the attentions of Mr. Kato are very evident in the wine offerings. Incidentally, the bio sparkling wine on the menu is very unusual. For those who enjoy a tipple, this restaurant comes highly recommended. Next time we learn about how the Katos got introduced to the macrobiotic scene, and also about what led up to the store opening. Certainly something to look forward to!